5. 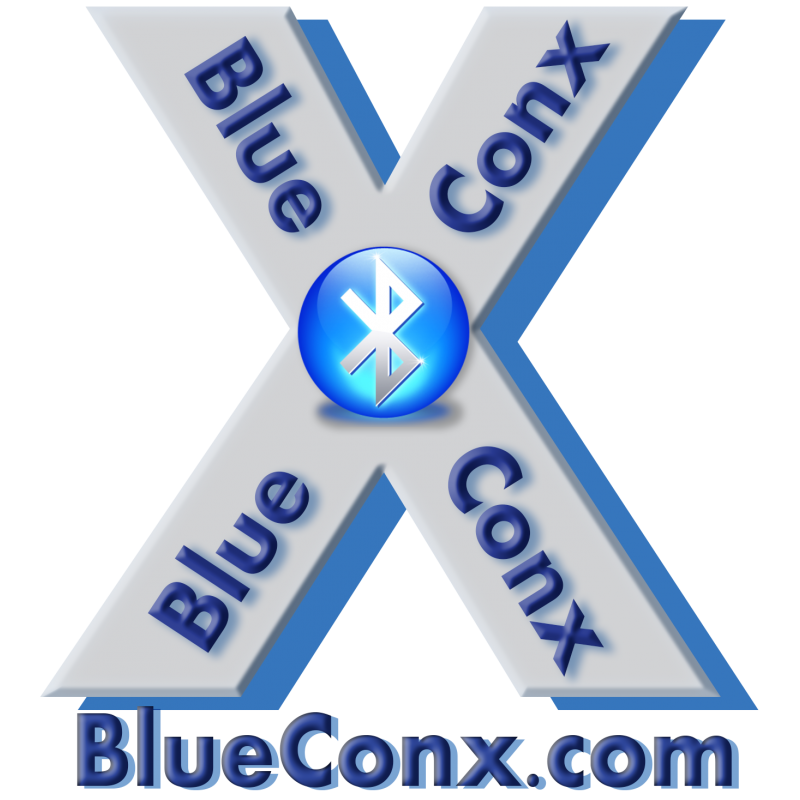 Press the “Right Arrow” keyboard “mouse” key sufficient times to get to the Bluetooth Sub-Menu (“Bluetooth” will be at the bottom of the screen). Press the green “OK” button. Move fast. 8. Quickly: Press the radio green “OK” button. The words “Find Device Type” and “Searching” with a “Cancel” option will appear. 9. Next a screen with the words “Find Device Results” and a second line with a headset icon and if it finds the earpiece, then “ICOM-BT” should soon appear. Quickly press the green “OK” button. A screen with the word “Connecting” will appear, followed soon by a screen with the word “Success”. The LED on the back of the earpiece will be a steady blue and the radio BT icon will also be blue too. • Lock the radio into BT Auto Connect: Go to the radio BT Menu by pressing OK then to BT and scroll down to BT Auto Connect and enable it by pressing the mouse RIGHT arrow key and it will “check” the BT Auto Connect OK function. Then the radio will store the BT state even if the battery is changed so the BT logo will appear in the top of the home screen on power-up ready to go. • Set the PTT and Key Beeps: Go to the radio BT menu, scroll down to Key Beep and press the right arrow; set beep to ON and do the same for PTT Beep if desired. These are great radio features! • Press right arrow, a menu with options “Connect”, “Disconnect”, “Delete” and Detailed Info” appears. • Select “Disconnect”, and then the green “OK” button. A screen with the word “Success” will appear. 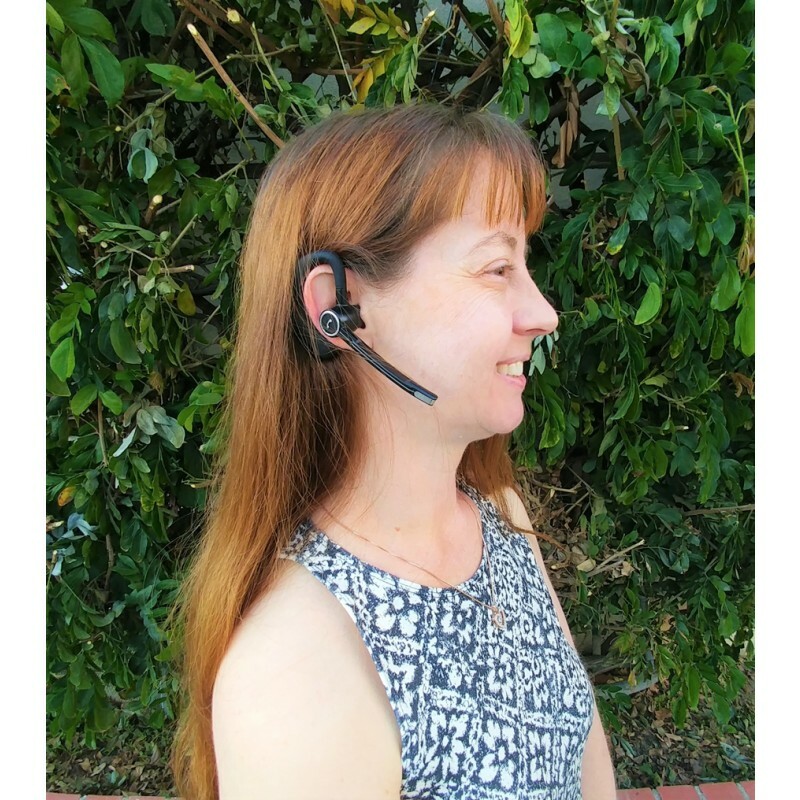 • The earpiece mike boom is reversible by rotating the mike/ earbud around; be careful not to keep rotating the same way as it will wind-up and break the wires inside which will void the warranty. • These units can also pair to your cell phone; just put the BT earpiece into pairing mode and connect as you would normally when you see the “ICOM-BT” device appear after a search for new devices. • Charge from any USB 5 volt power source, when red light flashes it is charging, when red is steady the charge is full. When unplugged and powered ON the LED flashes occasionally as it “hunts” to pair. • When ready to turn the unit OFF press and hold the Power switch and when it powers off you see the LED flash red 3 times to verify. • Warranty is one year when returned to All Day Electronics postage-paid with evidence of original purchase by receipt and an RMA obtained first. When in doubt; ask your DEALER for help.